I'm sure there is something wrong with my suggesting a book that encourages you to read what you have on your own bookshelves. That said, I love to read books that comment on authors or titles I have forgotten. This British author embarks on a year long commitment to get to know her own collection, citing not only titles but conversations and libraries that have figured into her life long reading. Not necessarily a straight through read, perhaps savor this book one chapter at a time. A book which is left on a shelf for a decade is a dead thing, but it is also a chrysalis, packed with the potential to burst into new life. Wandering through her house that day, Hill's eyes were opened to how much of that life was stored in her home, neglected for years. 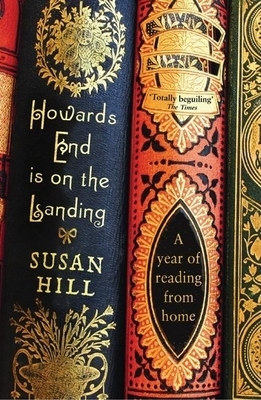 Howard's End is on the Landing charts the journey of one of the nation's most accomplished authors as she revisits the conversations, libraries and bookshelves of the past that have informed a lifetime of reading and writing. Susan Hill is the winner of numerous prestigious literary awards. She is the author of a highly successful crime series (Overlook Press) as well as the famous The Woman in Black, the stage production of which has been running internatoinally for years.